Man, I struggle with this, day and night. I have tried a number of methods and tricks to help me organize and stay on top of all of my calendars and stuff. I have always abandoned these methods and tricks after a few days because I don’t see enough progress; I am a perfectionist– I am absolutely all-or-nothing, black-or-white (which is so baffling, because I work in a process-oriented approach). I’ve gone from writing up daily schedules that outline what I think I should do in half-hour increments. But, then I feel like a failure when I get up with my son at 7:00, instead of get up before him at 6:00– in other words, I almost always feel behind within the first hour of the day. This being said, the 10% of the time when I do follow the schedule, I feel absolutely powerful. And then I wake up the following day. My experience with organization is not wholly physical. I have to have time set aside in my head to do it, which is the problem. I need to make it rote. I try Janice Lindstrom’s trick about using a website, a tool, to guide me in organizing and clearing things away on a daily basis. But a few days later, when I see that the first area I addressed is riddled with clutter once again, I feel defeated and stop. I’m really excited about the quote Lisa Skarbakka shared, “creative minds are rarely tidy.” I take that to heart. I met recently with Katie Lee of The Small Change Project. We determined that paper– receipts, MAIL, invoices, etc.– are my biggest trouble. What I should do is set aside a couple of hours every week to scan and shred. Sounds good. But I have yet to do it. I don’t have any answers for myself. I suppose I should trust the process that is the 24 hours in a day– the day will start, the day will end. With or without my life in line. This week’s post comes to you from Janice Lindstrom, MA, MT-BC. When I am “organized”, it means that surface clutter is mostly put away, there is a reasonable plan for my day, and I feel productive. For me, it’s a mental and physical experience. When my home is in order and my schedule is do-able, I can think better and I feel better. My outside environment reflects my inner mind. So when there is chaos in my home, I feel lost and adrift or irritable and frustrated. I think it is always a process to stay organized. When my routines are in place, my home and thoughts flow better. When they aren’t, I get stuck, mentally and physically. The best system I’ve found for staying organized, while being nice to myself, is through FlyLady.net. I am able to use her principles in other areas of my life, like my music therapy business, and finding that mythical work-life balance. I have plans to share some tips that work for me for organization, that are music therapy-related, on my website, Heartbeatmusictherapy.net. I haven’t yet figured out my routine for this yet, but it’s something I’m passionate about, so it will manifest very soon! Janice works in private practice in Dallas, Texas. You likely know her from her radio show, The Music Therapy Show with Janice Lindstrom. Today I am going to link you to the guest post I wrote about my national conference experience. My post is here on Janice Lindstrom, MA, MT-BC’s site, Heartbeat Music Therapy. Did you go to conference this year? A few Minneapolis-area music therapists met again tonight for our peer support group meeting. I was thrilled by the get-together for numerous reasons, two of which being the musical saw and the theremin. We make it a point to play and/or sing together at each meeting. I brought my violin, and was excited to continue my re-acquaintance with it. We talked about a few subjects– music-centered music therapy goal writing, the national conference, finding motivation to practice instruments, and the new songwriting group that has formed. 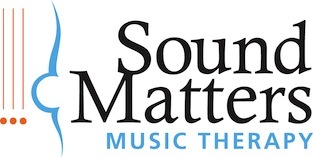 If you are a board-certified music therapist in Minneapolis, St. Paul, or the surrounding areas, and are wanting to connect with other music therapists here, let me know.